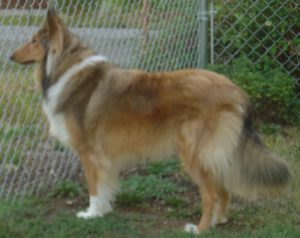 Shosanna is doing very well going into her 6th year. 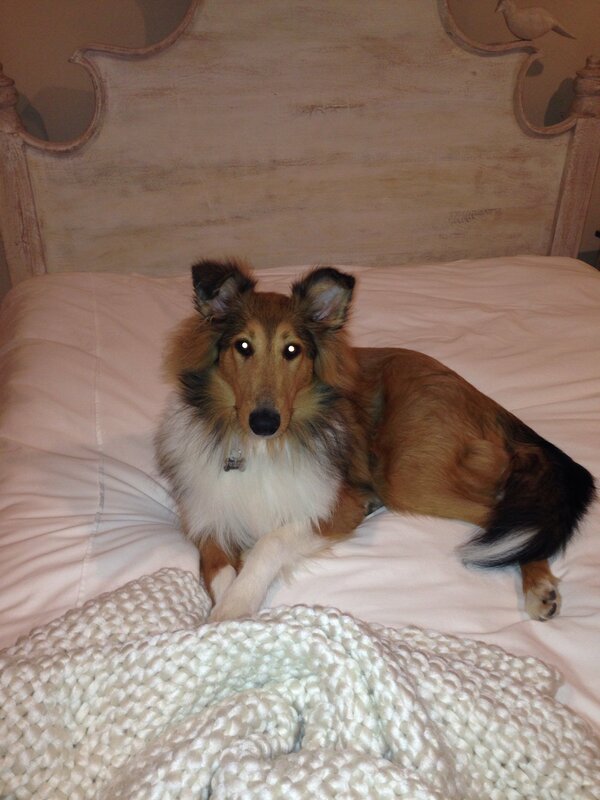 She’s as smart, charismatic, beautiful and sassy as ever – and has so many fans (both dogs and people alike). 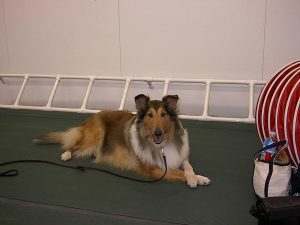 Sho went to her first MLB baseball game this spring for “Bark in the Park” at the KC Royals – she was a huge hit and got her picture taken by the team photographer with the mascot. 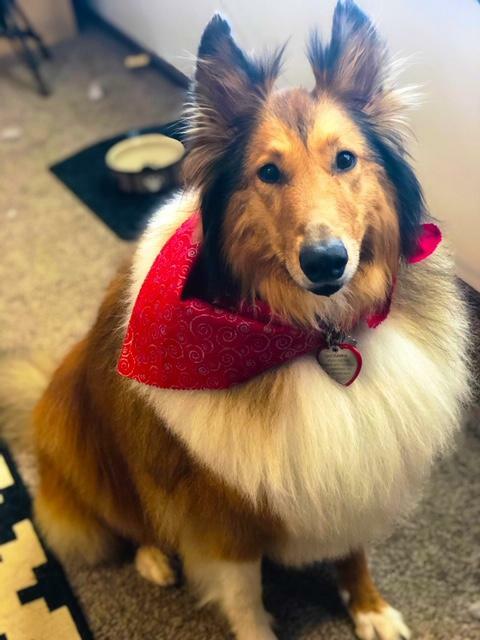 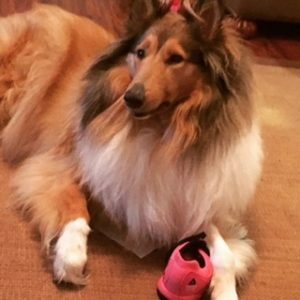 She also went on a big road trip for our family vacation to Denver and Aspen this summer and loved hiking and prancing around getting attention from everyone she met. Everyone that Sho meets loves her, and she is so very special and cherished every day. 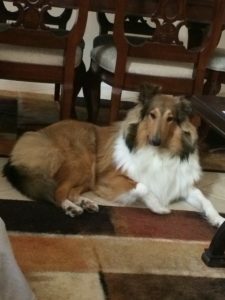 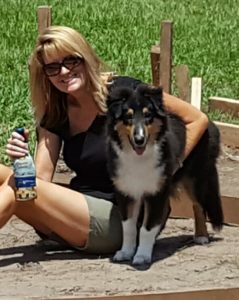 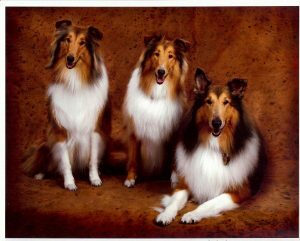 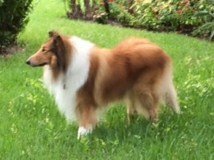 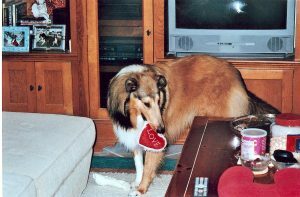 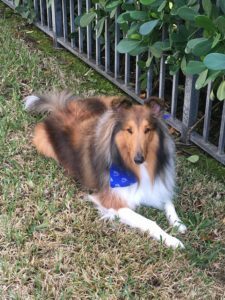 Our relationship started 34 years ago with Holmhaven, and they have provided us with so many memories of our three collies. 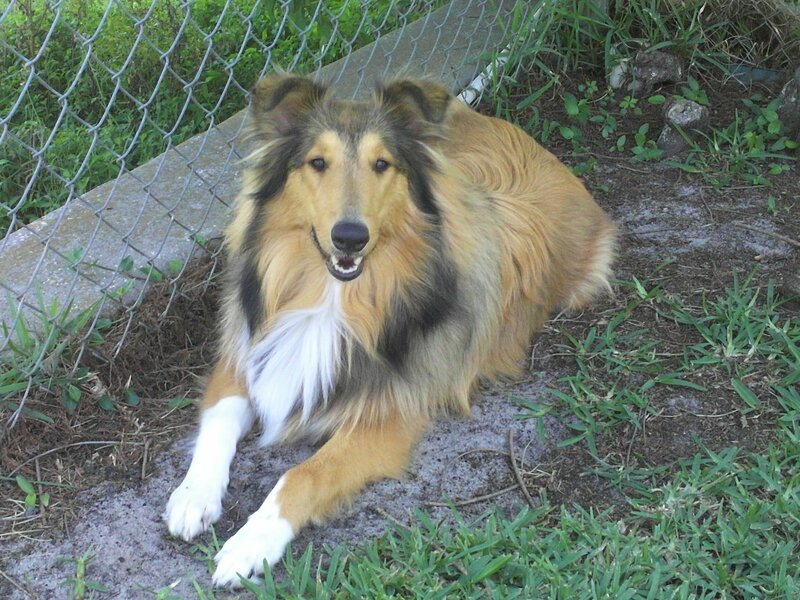 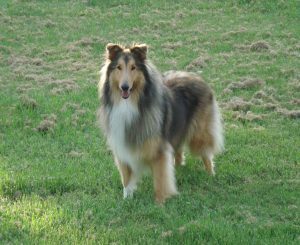 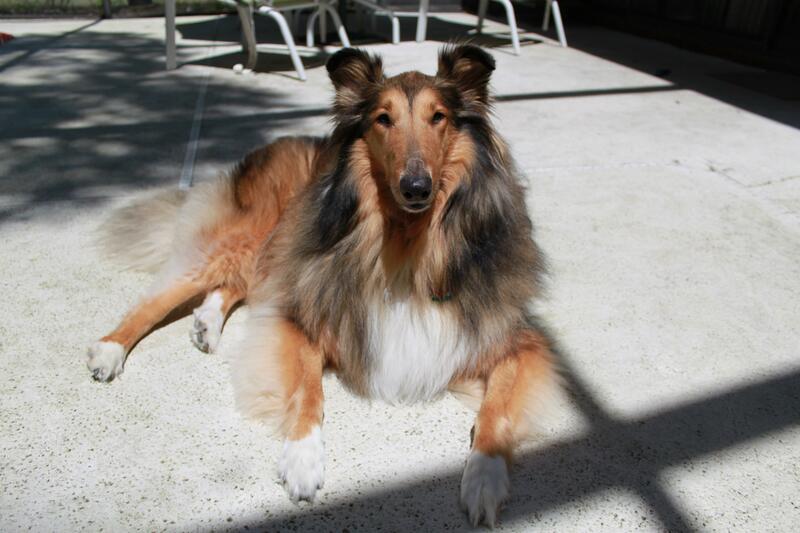 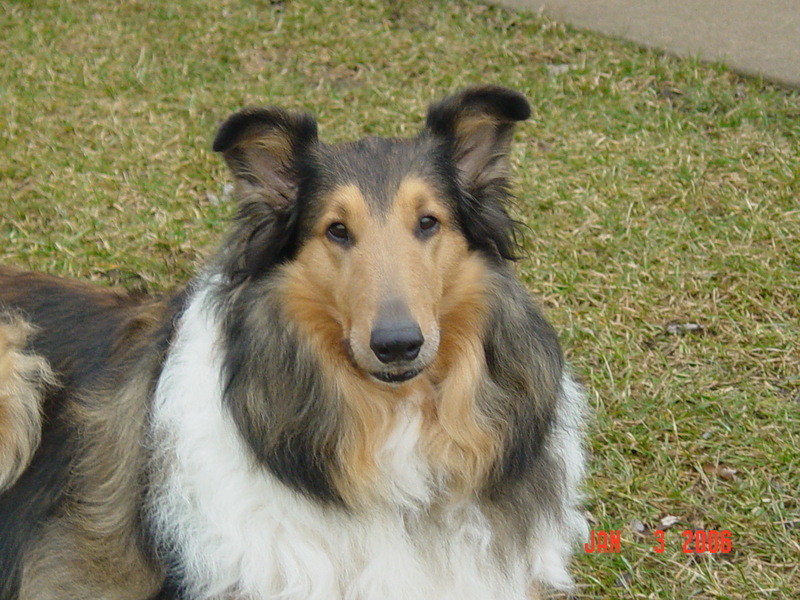 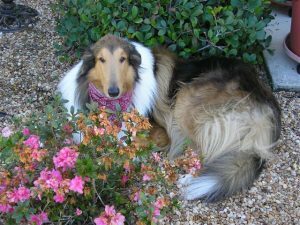 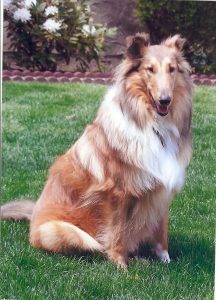 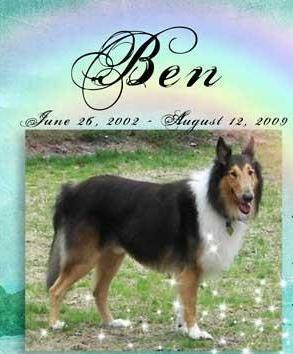 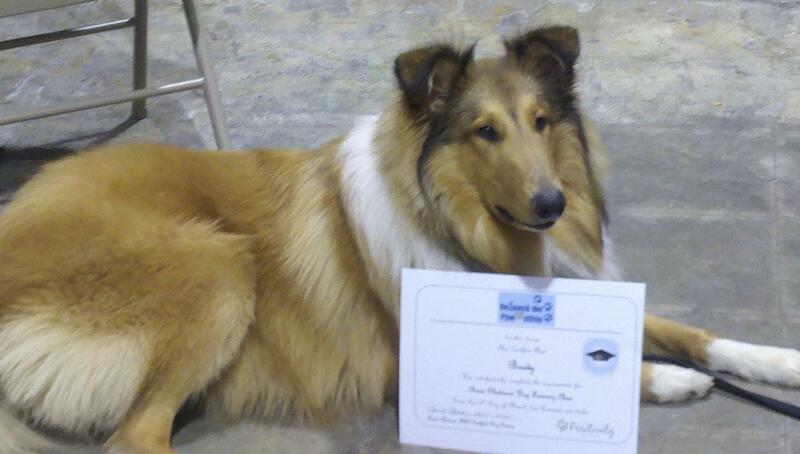 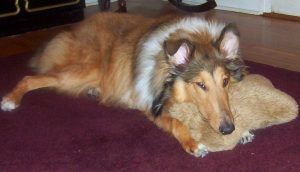 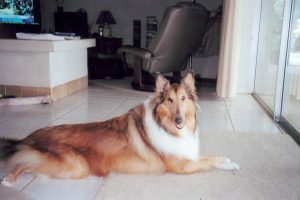 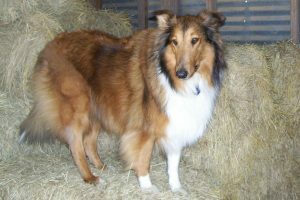 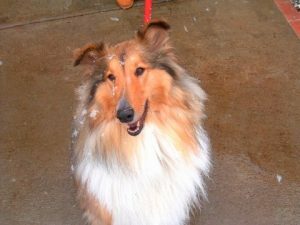 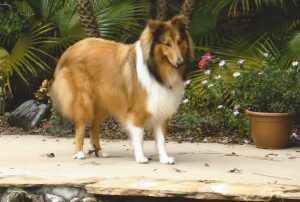 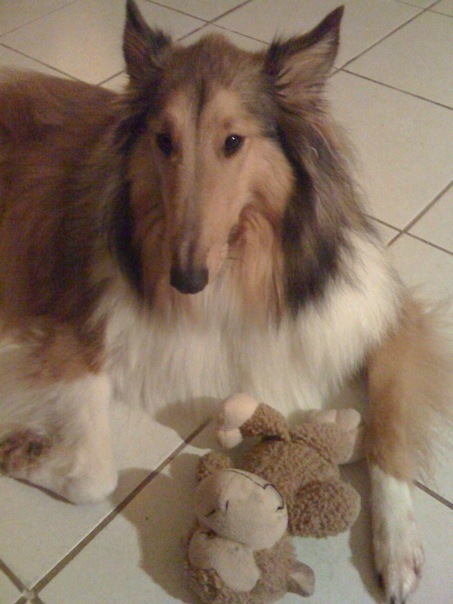 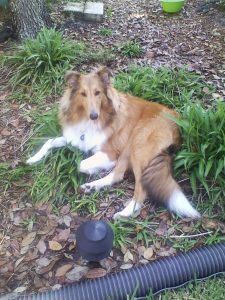 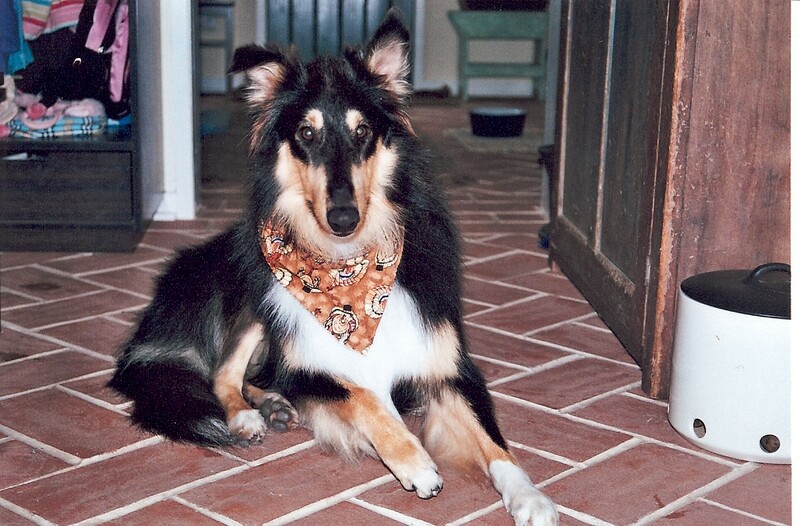 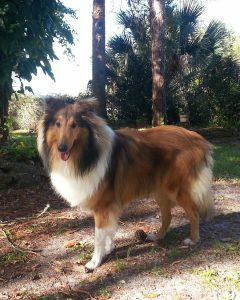 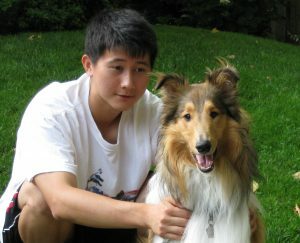 During the years, we also had other dogs along with our collies. 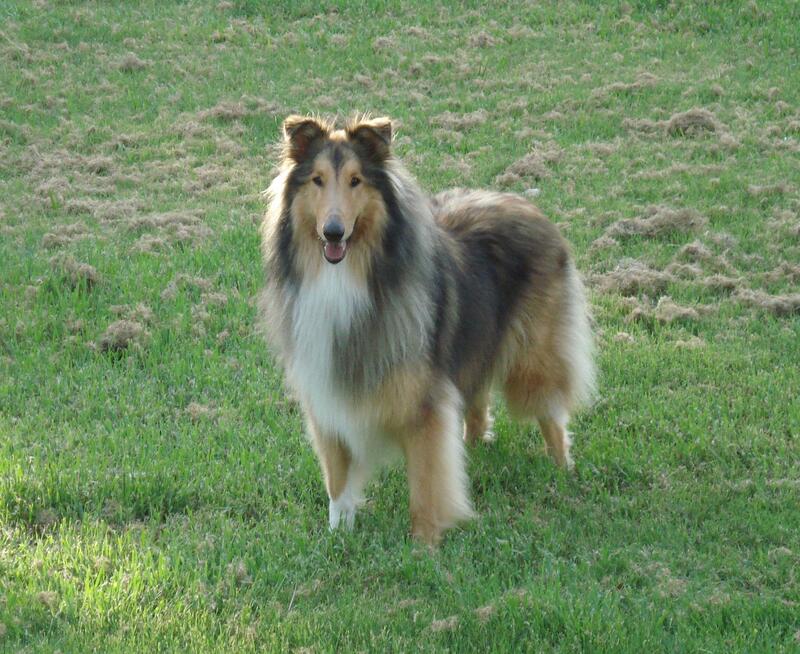 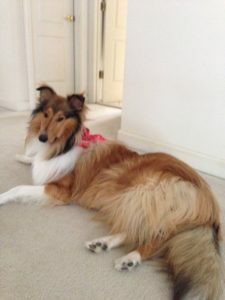 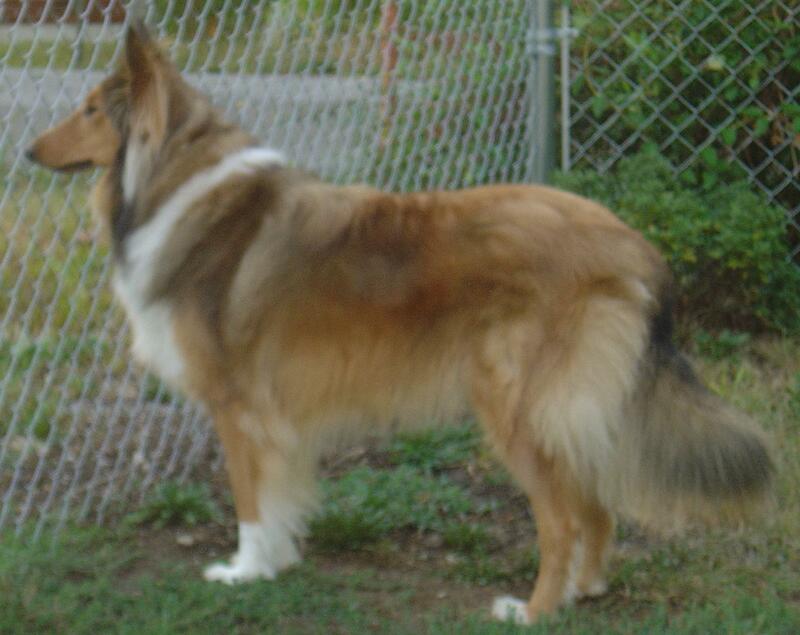 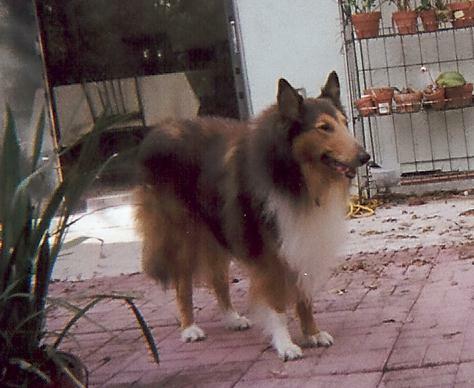 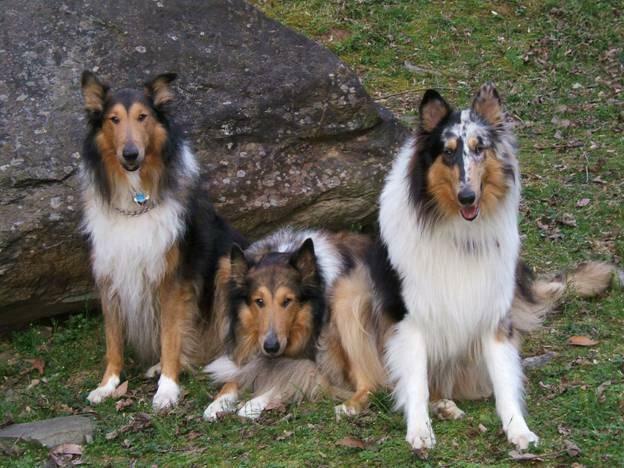 However, knowing how wonderful, gentle and smart the Holmhaven collies were, we longed to own another one. 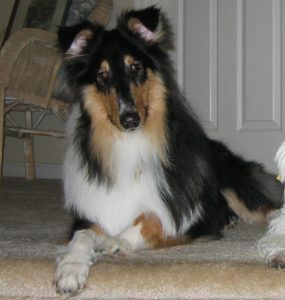 On April 30, 2006 our current dog “Duke” was born. 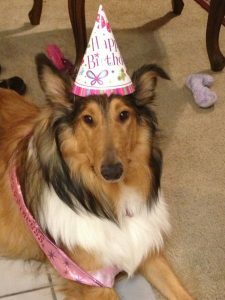 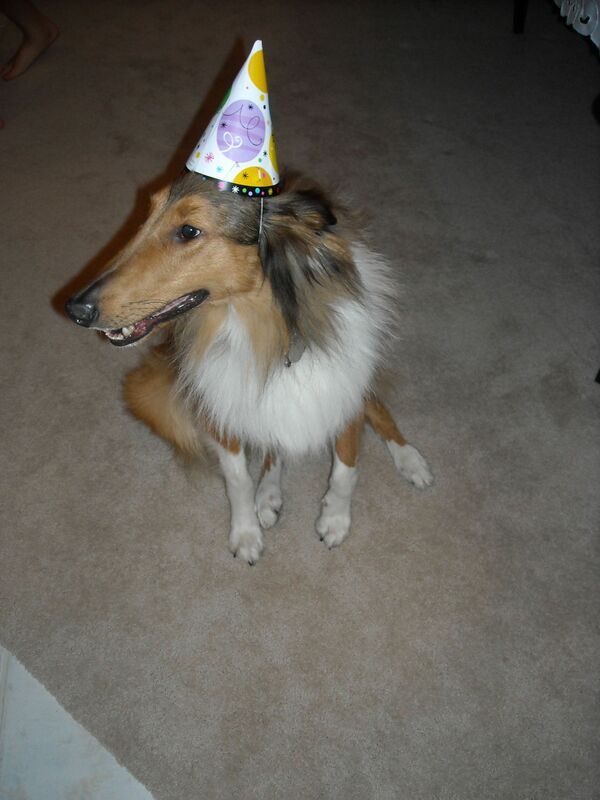 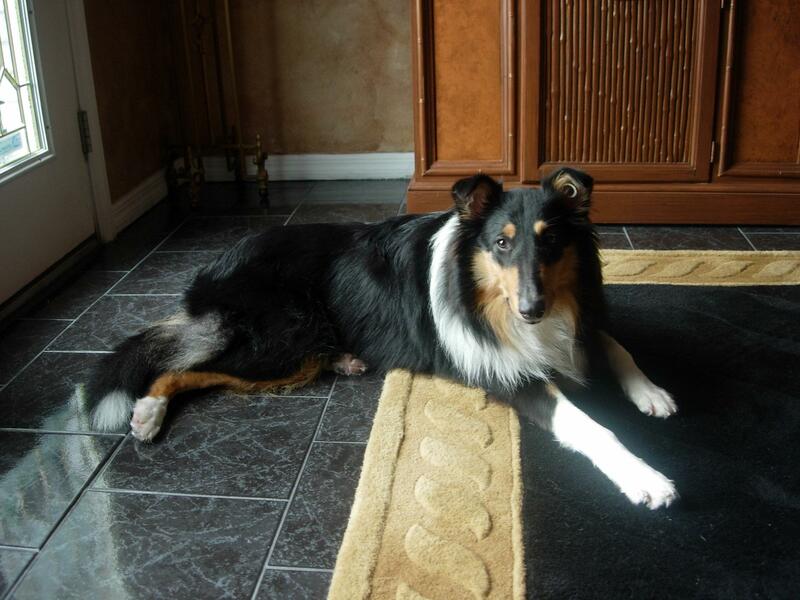 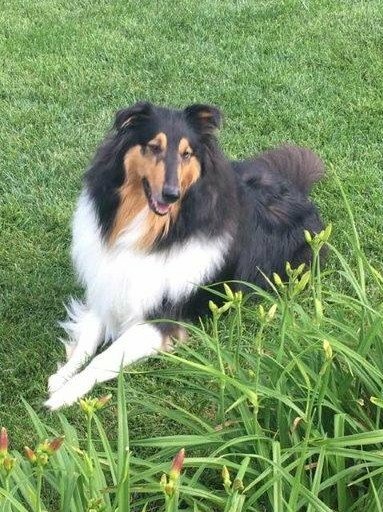 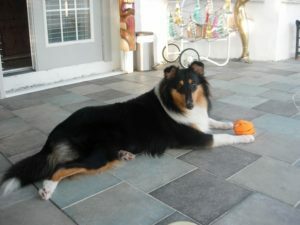 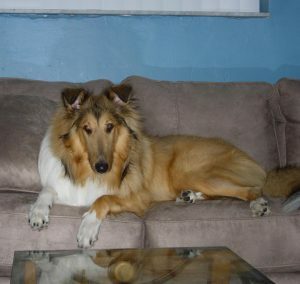 Duke is now two years old and is a wonderful, healthy and lovable collie. 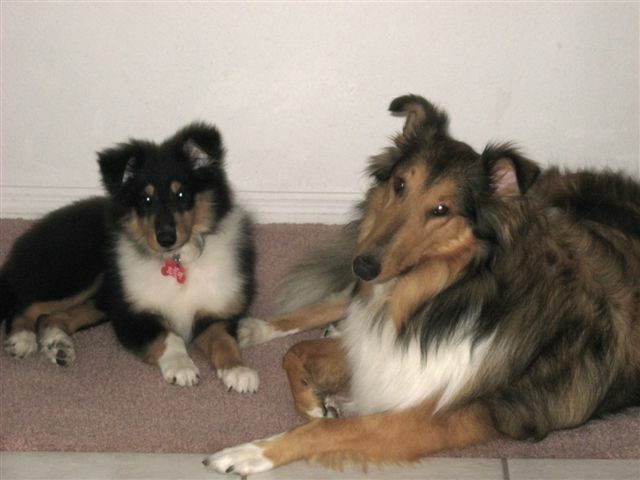 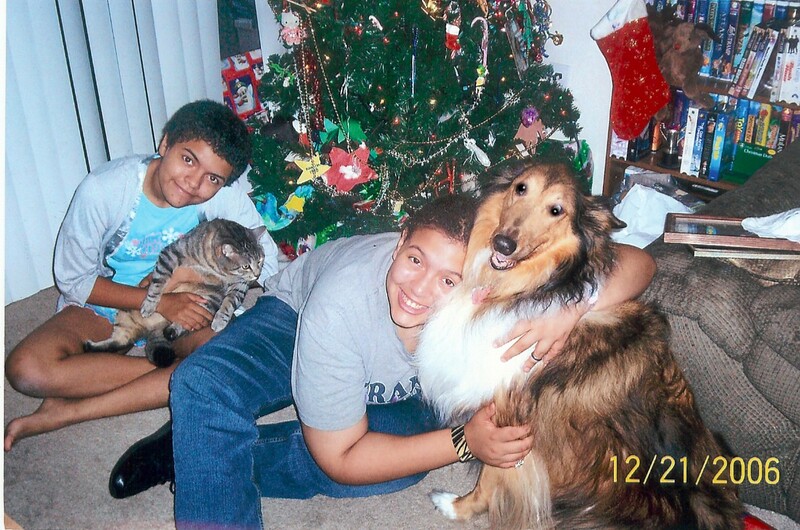 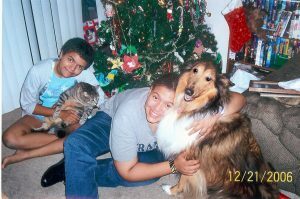 Our other two collies lived to be 14 years old. 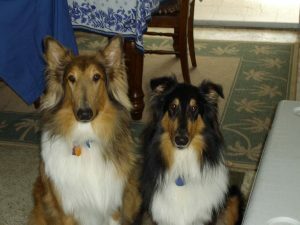 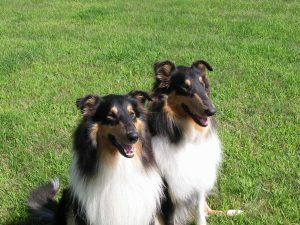 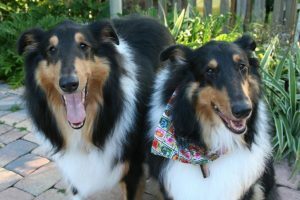 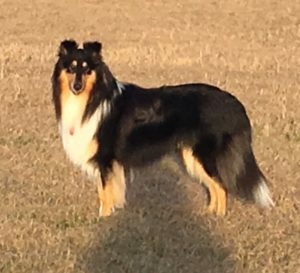 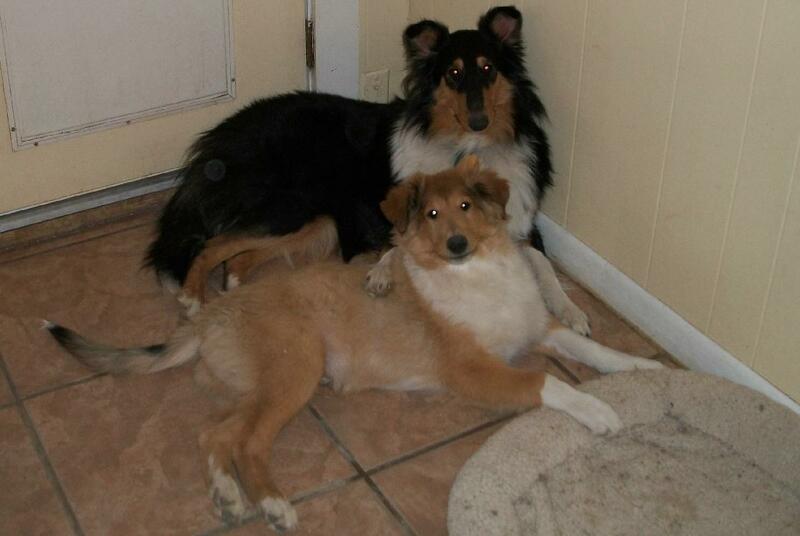 Our two tri-colored collies from Holmhaven are truly the most beautiful dogs I’ve ever laid eyes on. 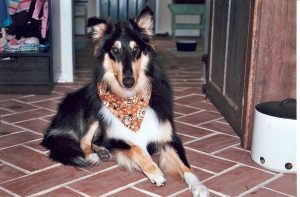 When people come to our house and meet them for the first time, they can’t stop gawking at their beauty and good manners. 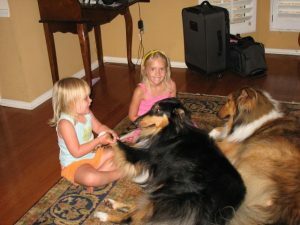 They were very easy to train, as they so much want to please. 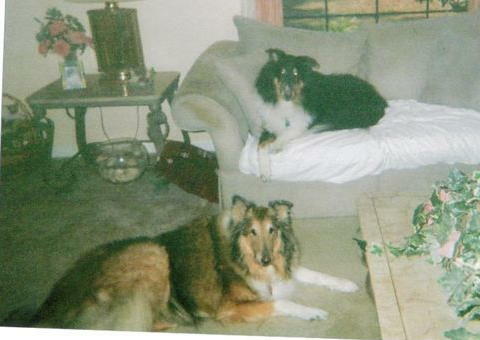 Growing up in Montclair, NJ, my sister and I were lucky enough to live around the corner from Holmhaven. On our way home from school, we would stop by to visit the dogs. 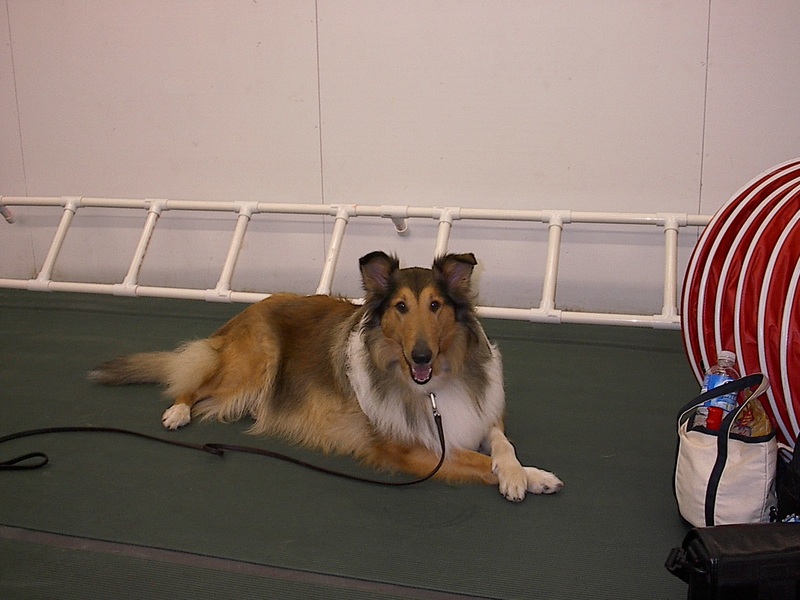 Mrs. Holm would set up the jumps so we could watch the dogs do their “tricks”. Years later while on vacation, we visited Holmhaven again now in Florida. 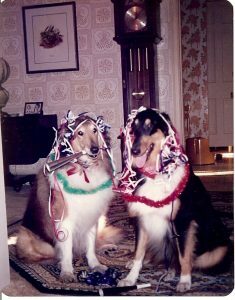 Once again, as gracious as ever, Mrs. Holm let us visit the dogs. 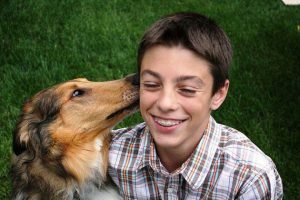 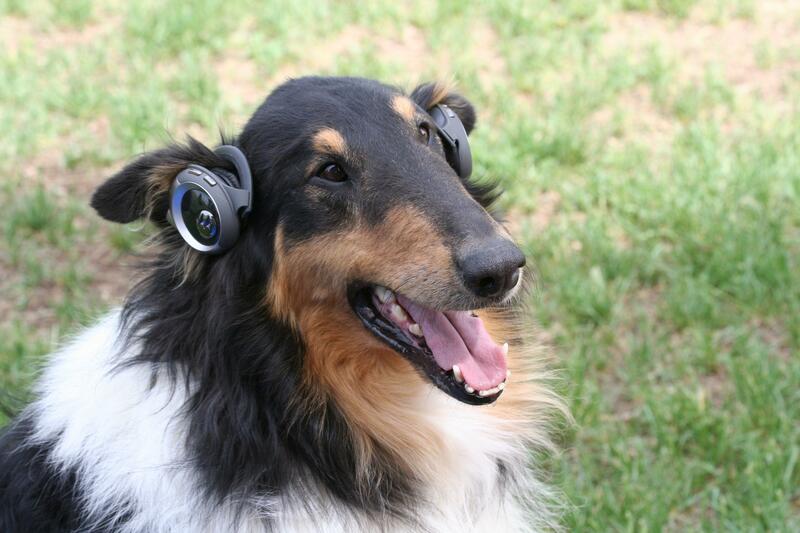 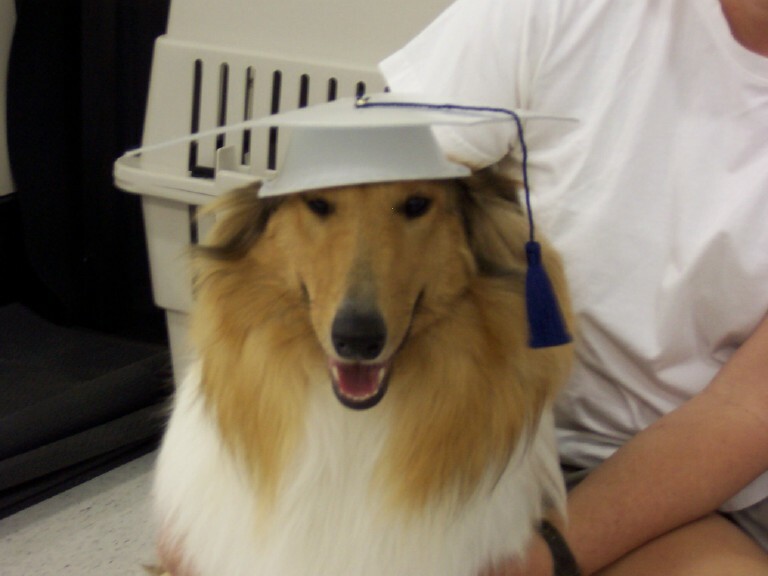 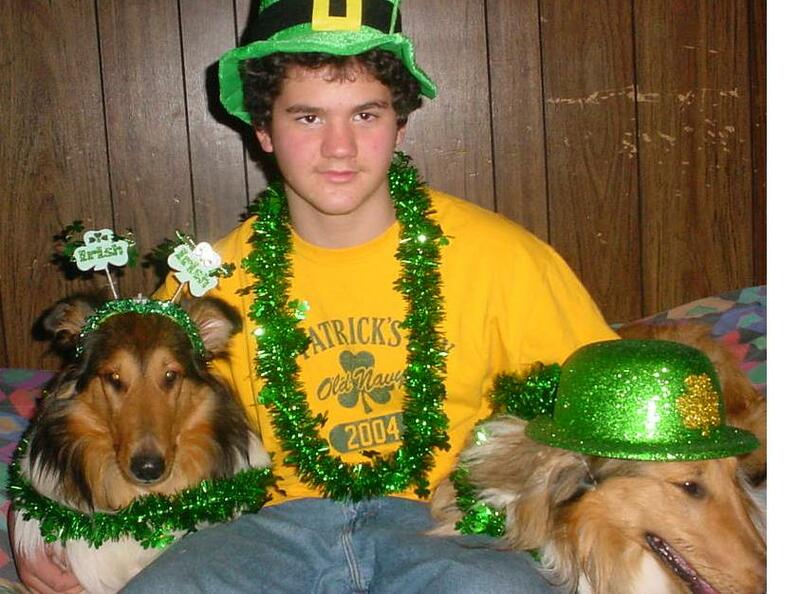 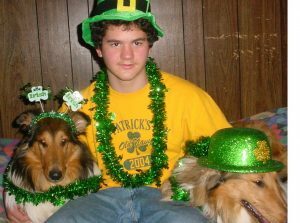 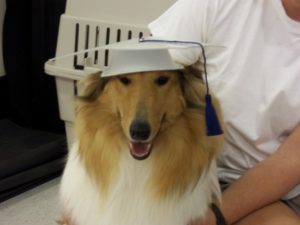 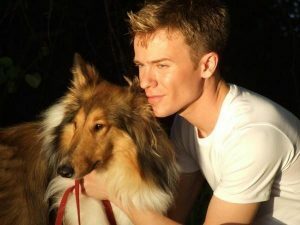 I have never forgotten those collies.